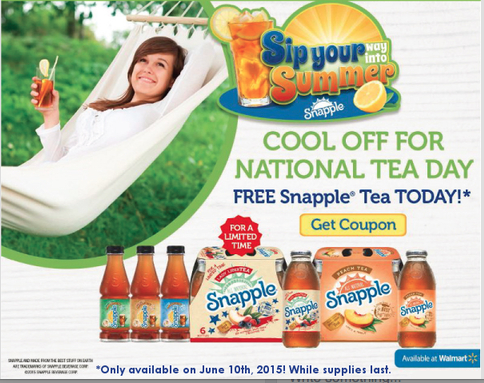 Today is #FreeTeaDay for Snapple! Click HERE to print a coupon for one FREE Snapple drink. This coupon is only available today (June 10th). This entry was posted in Book review, Coupon, Freebies and tagged coupon, freebie, Snapple. Bookmark the permalink. This was sent on June 11 and the offer had to be used on June 10. Pls don’t send outdated info.